I have been in the Electrical Industry for just over 25 years, having served my apprenticeship in a small family firm in Ireland. Whilst I had a great career as an Electrician it was not without its ups and downs. In 2007 I had a thriving company, nine staff, three vans, a car and a shop front – only to find myself on the brink of personal bankruptcy because two developers I was working with went out of business owing me a lot of money and although I appeared to have a great turnover the business was not profitable, so I could not recover from their failure. I had no choice but to start again. I discovered that the Domestic sector was a virtualy untapped market, because most people in the trades believed it difficult to get work. I knew I had to put a stake in the ground and build a local business based on the domestic market. but small company, and subsequently became the ‘go-to’ electrician in a small local area. I wanted to share what I had learned about marketing with more people and realised that writing a book was perhaps the best option. 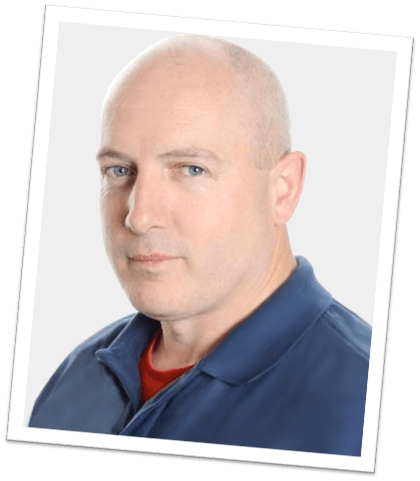 I created a system for sharing the information, experience & knowledge I had around marketing and developed a simple but effective six-step solution called The S.P.A.R.K.S Blueprint™. This system became the foundation for the book - The S.P.A.R.K.S Blueprint™ to Marketing for Local Trades. The book was launched in 2015 and hit number 1 Amazon Bestseller in four different categories within three weeks of release. It has remained in the top 100 for over a year. Having worked with Tommy Walsh (T.V Personality) on an episode of “Fix Your House For Free!” he very kindly agreed to write the Foreword. 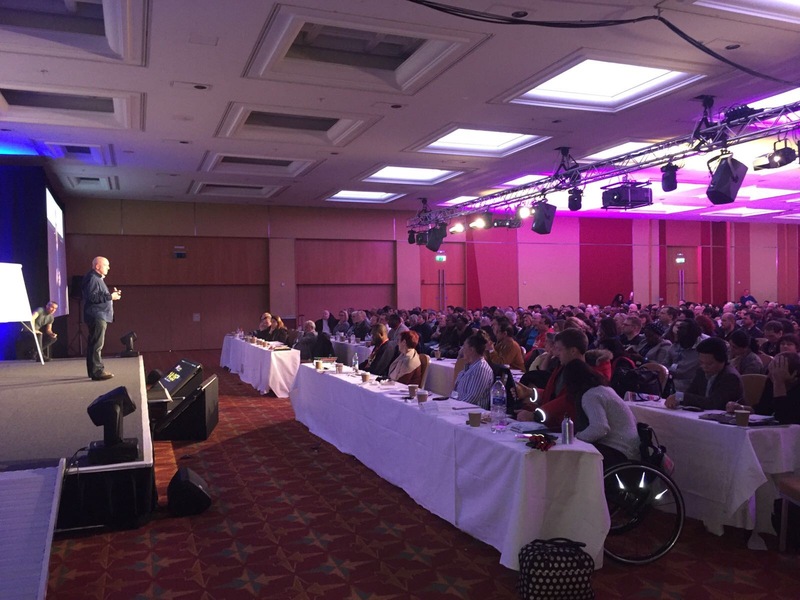 One of the reasons I love speaking is that it can reach more people. 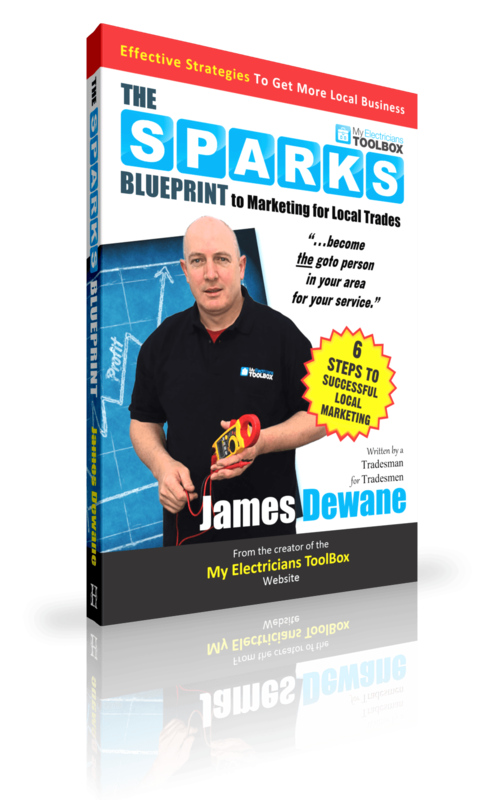 Marketing is not taught to apprentices or indeed at any level, so most tradespeople, whilst very skilled at their trade, have no idea how to set up or run a successful business. I feel it is so important for tradespeople to learn this aspect, but equally that it doesn’t have to cost them a fortune! 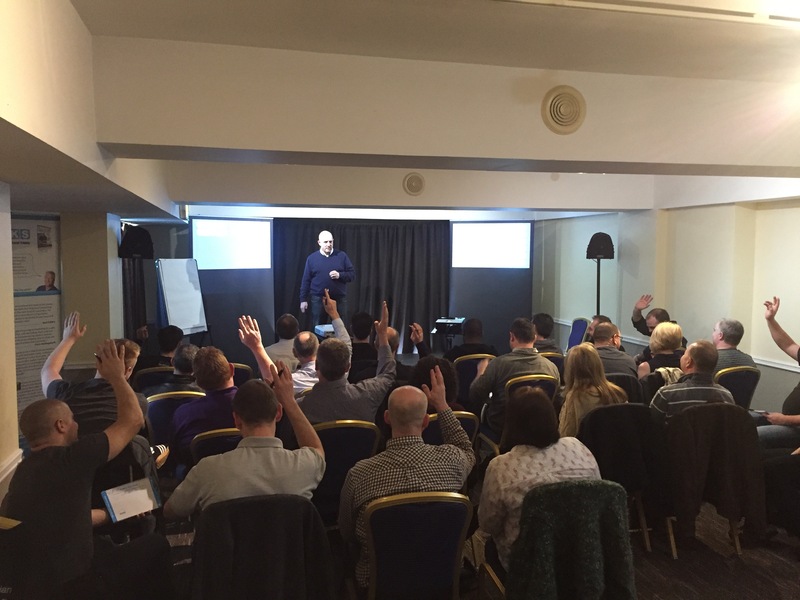 I am passionate about the subject of local marketing (low and no cost), particularly for electricians, and as such I run events and workshops across the UK to share the S.P.A.R.K.S Blueprint. I also run an online training program (My Electricians ToolBox™) and have a YouTube Channel where I regularly post videos and share content and training on being the ‘go-to’ person in your local area for your trade, teaching tradesmen and women how to fill their diary with quality local work. I have been asked to speak at several business development and marketing events, as I am considered ‘a dynamic keynote speaker’. 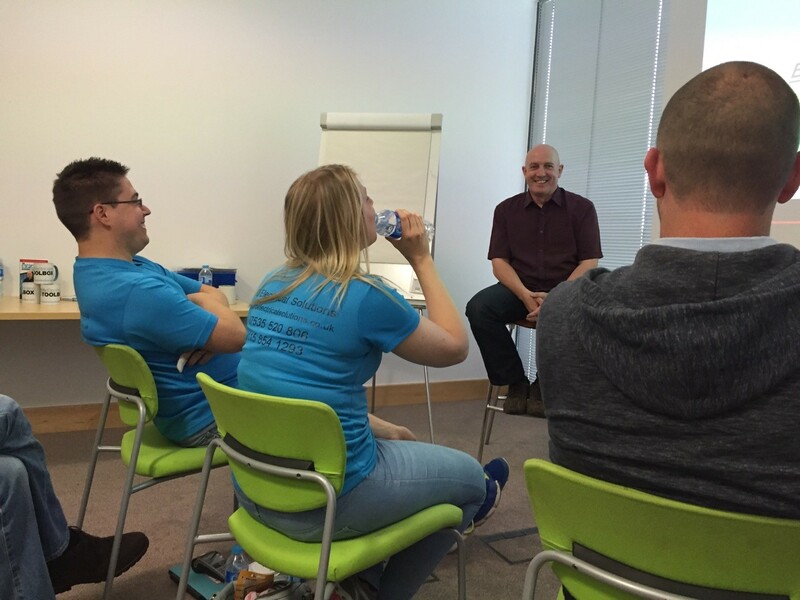 Recently I have spoken at various events across the UK including, Birmingham, Manchester, Bristol, Kent, London and Ireland, sharing my knowledge on marketing for local trades. It quickly became apparent from the speaking engagements that there was a need for some of the attendees to have one to one guidance. So, I now offer my services to a select number of clients, as a Local Marketing Expert. The service I offer is like having a Marketing Manager come into your business or company, to help you create a strategy, and plan, for your marketing, helping you to save money on wasted promotions and building a sustainable funnel of local quality work. Trying to grow a business alone can be stressful and time-consuming, but the result of working with me as a coach & mentor means the client has the confidence to increase their prices and gain more customers without having to work all hours to achieve it, after all, no one starts a business to work harder for less. If you would like more information or would like to book a Free 30 minute marketing assessment simply click the button below.